Unknown11:31 AM 0 sweets for free! I've been following Pokemon XY news since they announced it and I am just so excited that there are more features and really cool graphics that's about to go with it. I'm a die-hard pokemon fan and here are some new news. There is a special distribution event coming on October 12, 2013 when they will officially release the Pokemon XY worldwide. This special distribution event will give trainers an immediate start on the game with a Powerful Pokemon - Torchic. I have no idea yet how they are just going to give this Pokemon but they say as long as you connect to the nintendo WFC you will get it. 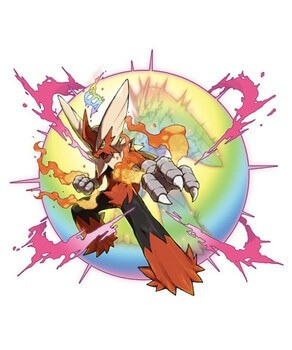 They will also be introducing "Mega Evolutions" that will happen only during battle and only when the Pokemon is holding a Mega Stone. Here is the a list of Pokemon that have been confirmed to have mega forms: - Mewtwo - Blaziken - Ampharos - Mawile - Lucario - Absol The Pokemon they will distribute on October 12 is Torchic and its evolved from Blaziken. It will come with a Mega Stone and in time it wwill Mega Evolve. This distribution event will be the only way to get a Blazkenite.